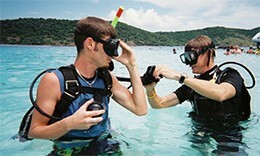 The first step in becoming a PADI professional is the PADI Divemaster course. In this program you will learn how to handle and guide certified divers, help the Instructors by assisting in courses and most importantly, work on your personal diving skills, demonstration skills and evaluation skills. 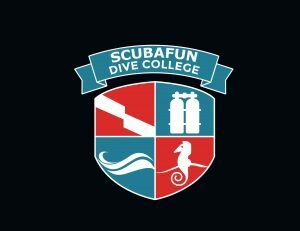 During the program you will assist our instructors and learn more details of working in a dive centre, as filling tanks, basic compressor knowledge, sales ideas and techniques etc. After completing the Dive master course you are capable of working in the dive industry as a dive guide, although many choose to include the step till Instructor which will increase your chance on finding a job. With many contacts around the Caribbean we will help you to find a job.